Shoots form fresh, green patches 2 to 6 mm tall. 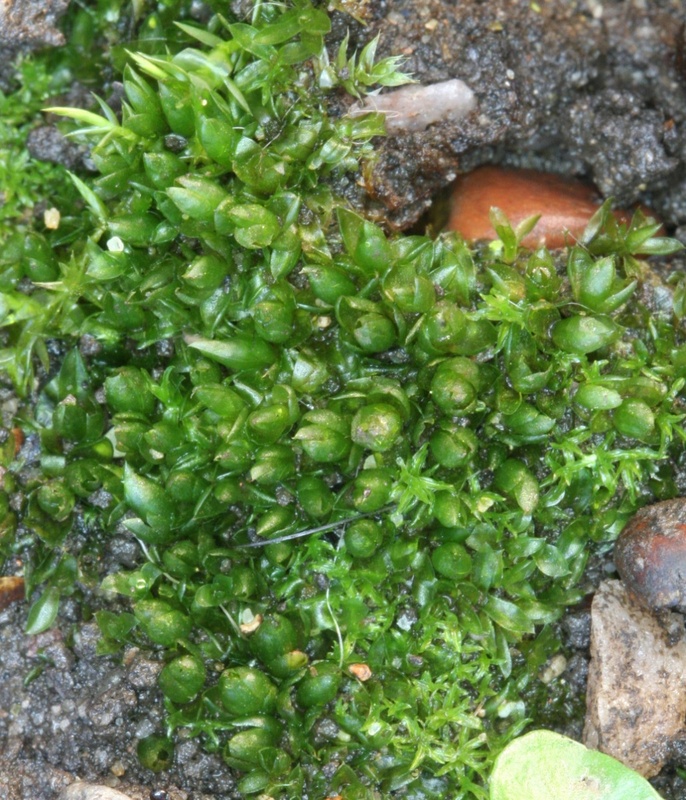 The broad leaves are 1 to 3 mm long, and surround and partly hide the spherical capsules, which are borne on an extremely short (up to 0.5 mm long) seta and have a small protuberance at the top. 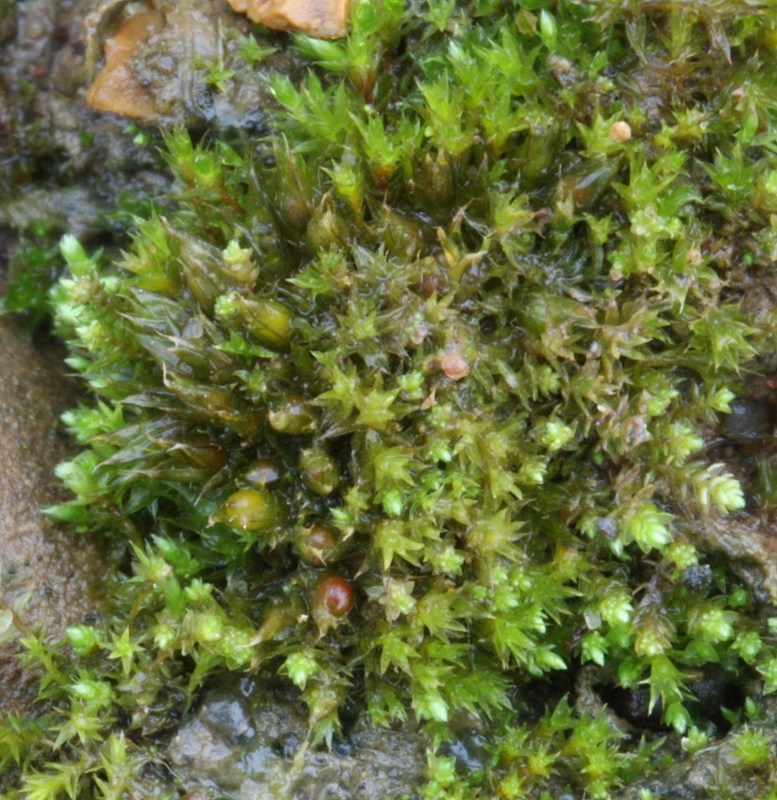 Phascum cuspidatum varies considerably, both in size of the plants and in features of the leaves, and several varieties have been described (Smith, pp. 363365). 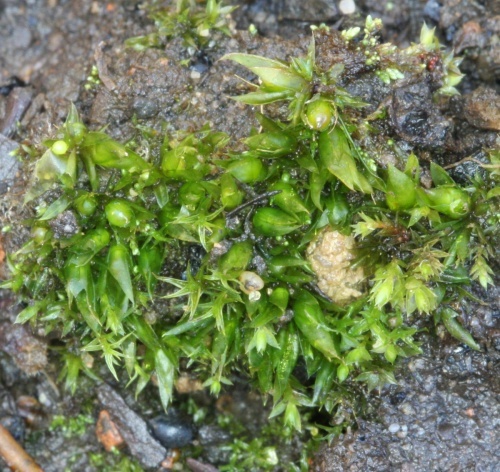 In P. cuspidatum var. piliferum the nerve runs out well beyond the leaf tip. P. cuspidatum is a very common, lowland moss of disturbed, bare soil in gardens and fields, woodland rides, tracks and paths, banks, anthills, waste ground and sides of water courses. It does not grow on humus or peat. The variety piliferum (Smith, p. 364) occurs on rather base-rich, sandy soil near the sea.